Today I am so excited to introduce you to my new favorite waterproof eyeliner – No Tug Waterproof Gel Eyeliner by It Cosmetics. This is one of the creamiest, most pigmented, long-lasting and budge proof eyeliners I’ve ever tried. No wonder I have come to expect nothing but the best from It cosmetics! Utilizing cutting-edge anti-aging no-tug technology, these new Automatic No-Tug® Waterproof Gel Eyeliners glide on saturated, rich color without tugging on your delicate eyelids! Developed with plastic surgeons, these innovative yet easy-to-use eyeliners do the work for you, plus they’re infused with anti-aging technology and skin loving ingredients including hydrolyzed silk, collagen, and anti-oxidants. Clinically proven waterproof even after 12 hours of wear! Paraben-Free, Fragrance-Free, Sulfate-Free. Available in 10 different shades, this eyeliner has a truly good-for-you formula packed with ingredients like Green Tea, Jojoba, Pomegranate, Aloe, Chamomile, Avocado oil and Cherry oil.True to its name, this gel eyeliner pencil doesn’t pull or tug on the delicate eye area. It is so incredibly smooth going on, never even the slightest tug! It has a twist up retractable design with a built-in sharpener on the bottom so you can easily get a pointed tip for a thin, precise line. The color payoff is rich & vibrant and truly waterproof once set. It stays on all day (or night) and won’t smudge, run or fade. But the best part is that the color doesn’t run out of the waterline either so if you tend to battle a case of raccoon eyes by mid-day, this eyeliner is absolutely worth trying out! My search for the perfect eyeliner for the waterline is over! Despite being so long-wearing, the formula isn’t hard to remove at the end of the day and comes off easily with my usual makeup remover. Lucky Jade is a forest green shade with slight shimmer. Plum is a smokey purple with slight shimmer. Brown is a medium warm brown. Now let’s take a look at the swatches. As you might have guessed, my favorite out of these three is the gorgeous Plum! These look great. This is a brand I need to try out, this year. I keep reading great things about it. This brand keeps getting more and more good press in the blogs! I want to try them. That purple is my fave, too. So pretty! I need to try these. I love these pencils. The green is really excellent. I really love the look of Lucky Jade! Gorgeous liners! I agree, I like plum the most, second close is lucky jade. 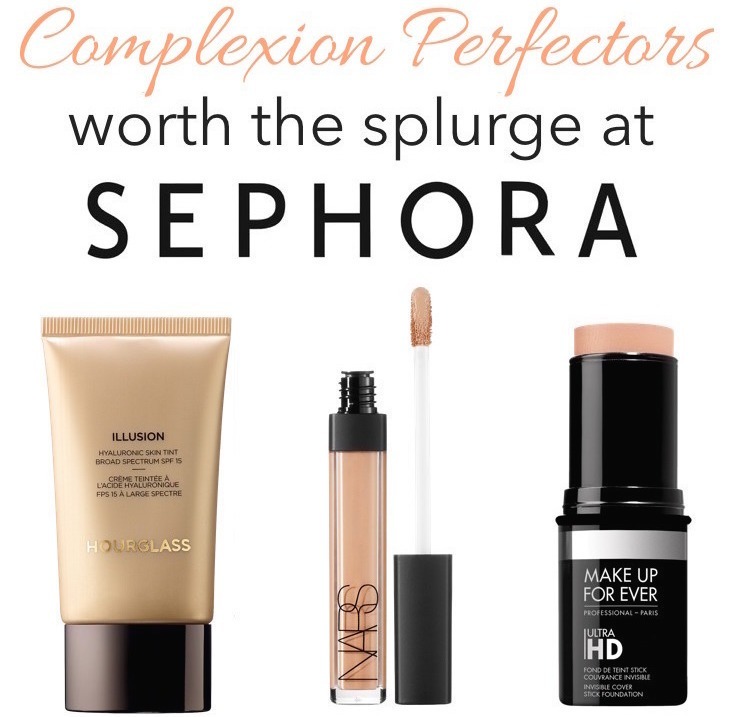 Loving all three of those shades, they’re so versatile! These look super pigmented. I love plum! I love when eyeliners are creamy enough to just glide on! I’ve been trying to avoid this brand because I know I’ll fall in love with it. The colors are so pretty! Very pretty! I love It Cosmetics. makeupbylaurag I am with you on that! Glamorable Yes, totally! And I love that they are not over shimmery. I would love to try these IT Cosmetics products. Goodness, I really do love me some Lucky Jade. These are so pretty, Harshleen! That smooth application is right up my alley. At my age, the last thing I need in eye cosmetics are those that tug. Ouch. lechakan These are awesome! I am sure you will love them as much as I do! I have VERY oily skin, and am hoping this liner will work for me. I’ve tried other “long-wear” eye pencils for tightlining, and so far, nothing has been a match for my oil glands. I ordered one of these liners, and am hoping it will turn out to be my “idiot-proof,” “no-primer-necessary” liner pencil.